Members of our various extracurricular activities shared information with their peers during our annual Extracurricular Activities Fair on Wednesday, September 6. This fair provides our students, especially freshmen and transfer students, with an opportunity to receive information and to sign up for the activities in which they are interested. 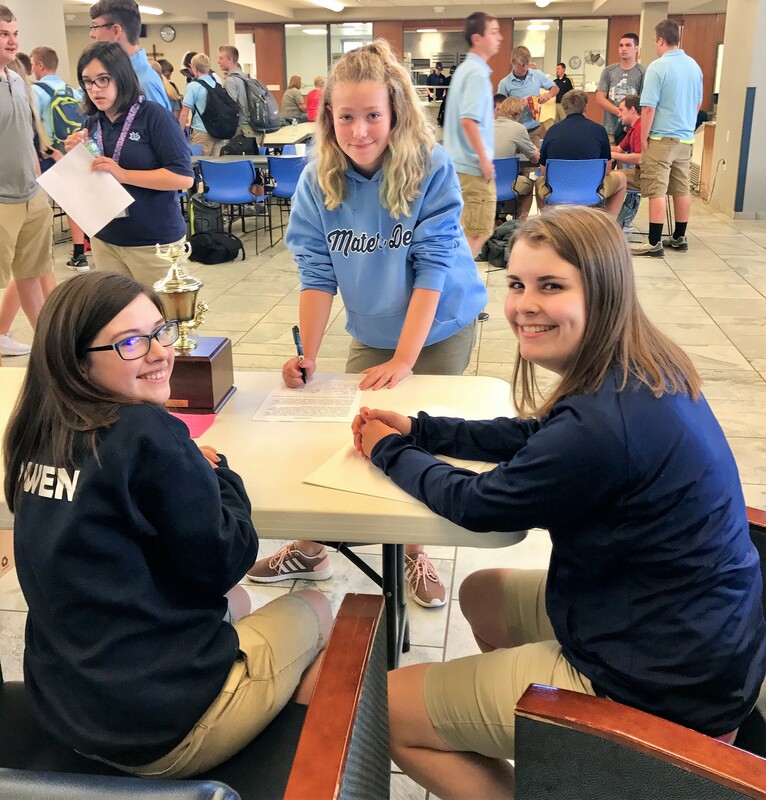 Freshman Annis Byram (standing) is pictured signing up for Scholar Bowl after receiving information from members Abigail Kay (left) and Abigail Brandenburger (right) during our annual Extracurricular Activities Fair. 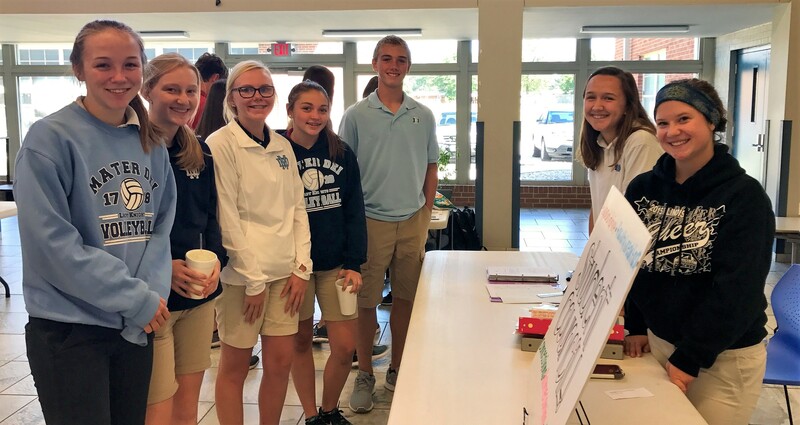 (left, from left) Freshmen Myah Helmkamp, Emma Hemker, Sophia Sabo, Sarah Lipski and Reed Braundmeier are pictured receiving information from Student Council members Abby Arentsen (right, back) and Caroline Kenow (right, front) during our annual Extracurricular Activities Fair.